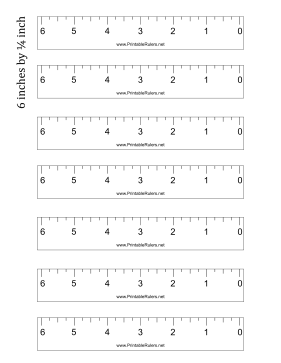 Small and perfect for classrooms, these 6-inch printable rulers have markings from right to left. Anytime you need to mark out half a foot, these measuring tools will do the trick. Please make sure to print in 100% or actual size so the rulers would stay true to size.